1.Board the bus from the front door. Passengers using cash or tickets, take a boarding ticket from the orange box when boarding. Passengers using transport IC cards (nimoca, SUGOCA, Hayakaken etc) tap your card on the card reader. 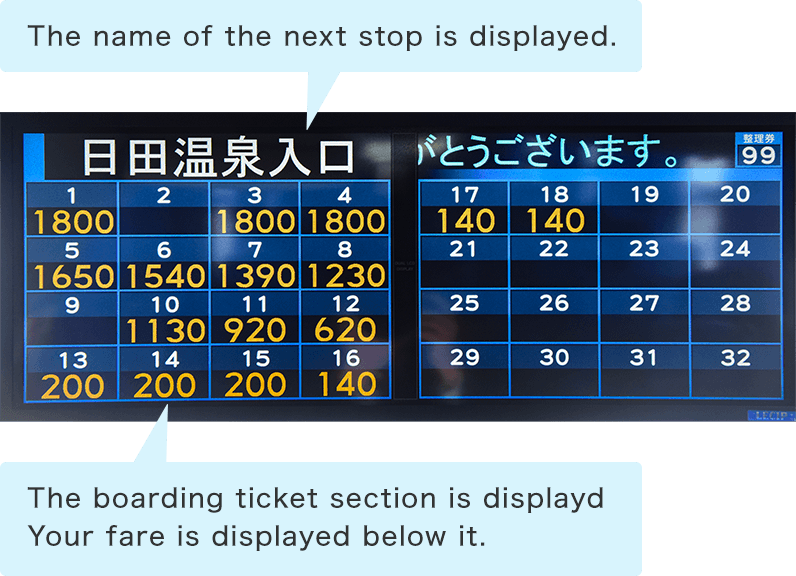 2.The next stop and its name as well as fare is constantly displayed on the front monitor. 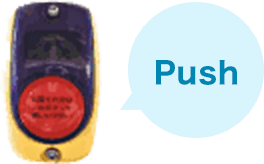 3.When your stop is displayed on the monitor, and the announcement is made, please press the stop button. 4.When alighting, please place the exact fare in the fare box with your boarding ticket. No change is given when charging your IC card. Japan-wide compatible IC cards accepted! The Nishitetsu prepaid IC card nimoca is a convenient way to pay for your fare as it can be recharged and reused. It can be used to pay for bus and train fares, as well as electronic money for shopping. 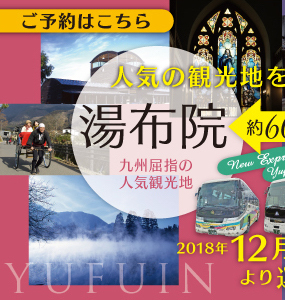 Available at: Ticket vending machines, on Nishitetsu buses, Nishitetsu train ticket windows and other Nishitetsu sales facilities. 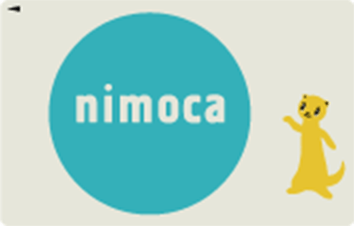 please contact the nimoca Call Center. 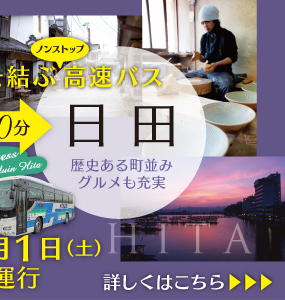 Copyright (C) 2007 HitaBus Co., Ltd. All Rights Reserved.